İrtem Agri Machines Industry & Trade CO. When İrtem was founded in Tekirdag - Hayrabolu in 1967, the target was evident; To be ``the name that puts a smile on soil`s and farmers` faces`` in agricultural machinery sector. İrtem, which at first claimed a place among the leading manufacturers of seeding machines in a very short time, switched to quality and mass production by adding Computer Aided Design (CAD) and Computer Aided Manufacture (CAM) benches to its technological substructure in 1997, recognizing thet becoming a wold brand requires manufacture in international standards. With the sheet metal processing station and ERP system becoming operational in 1996, efficiency, speed and standardization increased even more. In year 2010, with the robot technology becoming operational for production, the production quality was elevated to higher levels. 9000 m2 indoor production area doubled and increased to 18.000 m2. By manufacturing not seasonally but throughout the year with three factory buildings, it became possible to meet the demands of the customers immediately. 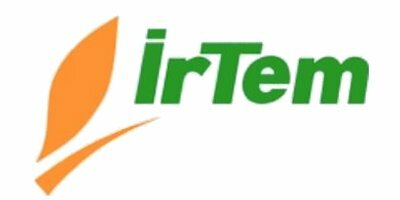 İrtem, whose range of products consists 5 primary products and tens of sub product types and expands continuously, takes solid steps on the way of being the first brand that comes to mind when agricultural machines are mentioned and offering long lasting products to our farmers. Why is İrtem just what your field wants from you? Because by constantly listening to our farmers, İrtem proceeds with is improvement-enhancement activities according to their needs and demands. Because İrtem never deviates from the world standards in production. Because İrtem always observes the technological advancements and improves all of its units, from the raw materials to the equipment pool, with the advancing technology. Because İrtem offers appropriate solutions just at the right time. Because İrtem focuses on customer satisfaction with all its employess. Because İrtem is always there for its clients with dealers and services, both domestic and abroad. Because İrtem dedicates the sum of all its knowledge, experience and its entire technological substructure to providing long-lasting products for our farmers. Because İrtem is focused on putting smiles on our farmer's and soil's faces. What are the principles that make İrtem ``İrtem``? To pay attention to ''Farmer Satisfaction'' not with words but deep from heart. Not to go round in circles in technology. Constantly to improve the quality and quantity of the product range and the equipment pool. Always and for all their needs, to be there for our farmers. To leave the '' Flood after the sale'' policy out the door. Not to forget that '' Leadership'' is working and not boasting. To know that friendliness and attention are starting points in anything. To serve our farmers while regarding them not as ''customers'' but as ''friends''. To adopt '' actions speak louder than words'' and to let the products speak. To be a whole with employees, dealers and services. Not to forget that its products represent not only its own brand abroad, but also our country.